Note: A minimum quantity of 36 must be ordered, and in units of 4 thereafter. 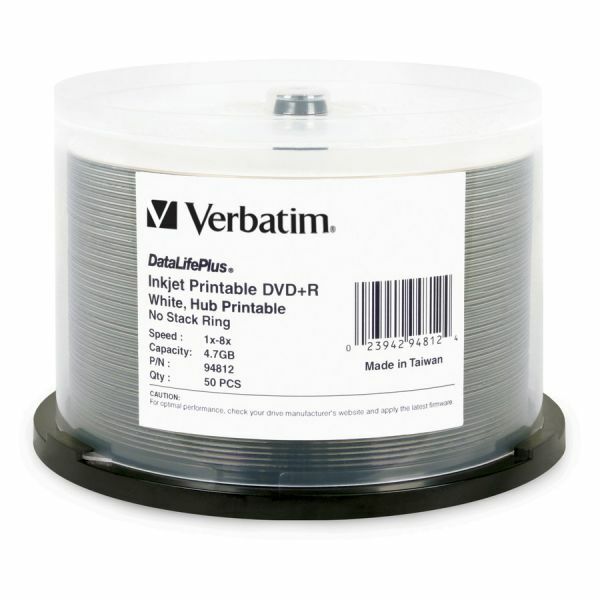 Verbatim DatalifePlus Recordable DVD Media - Inkjet and hub printable DVD+R features a 4.7GB capacity and 8X speed and comes on a spindle. Compatible for full-surface, edge-to-edge printing. DVD+R offers superior ink absorption on high-resolution 5,760 DPI printers. 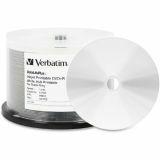 Uses an advanced Metal Azo recording dye to provide the highest level of performance, compatibility, and archival life as well as full-color, high resolution, photo-quality printing and crisp and clear text reproduction.